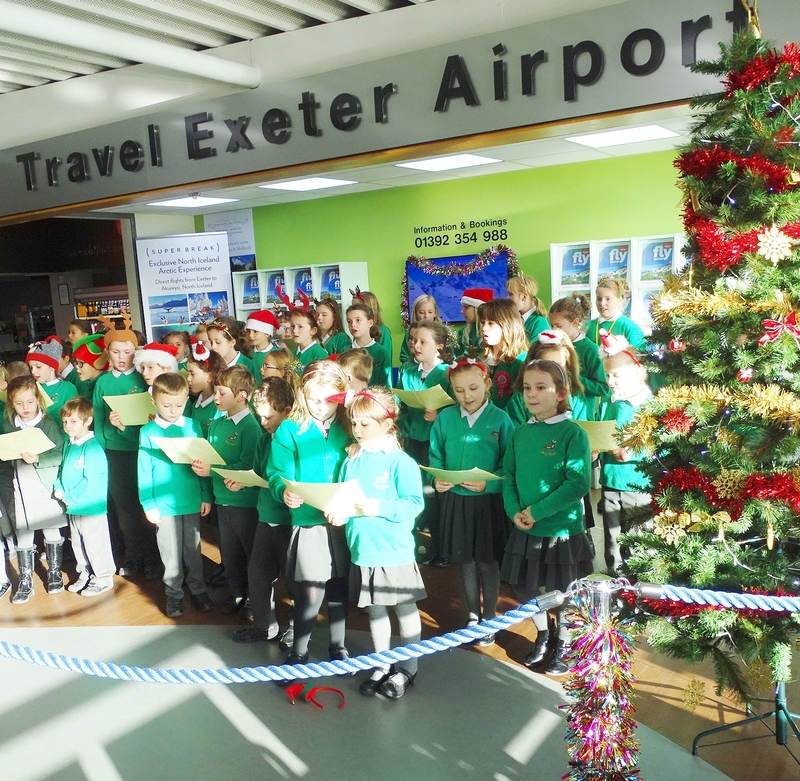 A school choir visited Exeter Airport today and brought some seasonal cheer with their young vocal talent. Sixty pupils from Decoy School in Newton Abbot delivered thirty minutes of Christmas music for departing passengers, airport staff and parents to enjoy. The five to eleven year olds performed a range of uplifting tunes, many of which were new to the ears of those in the audience, with enthusiasm and gusto. The children have a range of engagements before the Christmas break and included Exeter Airport as part of their performance calendar.